1. You'll begin your EXPO registration by entering your contact information below. 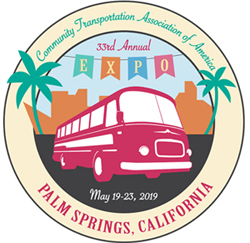 *PLEASE USE A UNIQUE EMAIL FOR ALL ATTENDEES/DRIVERS IN BOTH EXPO AND ROADEO REGISTRATIONS. If you do not have access to emails, please download the PDF form below. 2. Build your EXPO. Here, you'll select the training, session and event options that will fill your EXPO experience. These options include our intensive training session, workshops, networking events, symposia and more. 3. Last, you'll choose the payment method for your registration. Throughout the process feel free to call our registration specialists at 302.436.4375 if you need to speak with someone directly. Remember, you must click "Finish" to complete your registration. Once you successfully register, you'll receive a confirmation email. You must submit all your registrations at the same time. Please download the EXPO Group Discount Template by clicking here. Submit the completed group discount template via email by clicking here. All the registrations must be billed to one organization and paid for at one time via check or credit card. This discount does not apply to the Community Transportation Roadeo to the "Trade Fair Only" option.